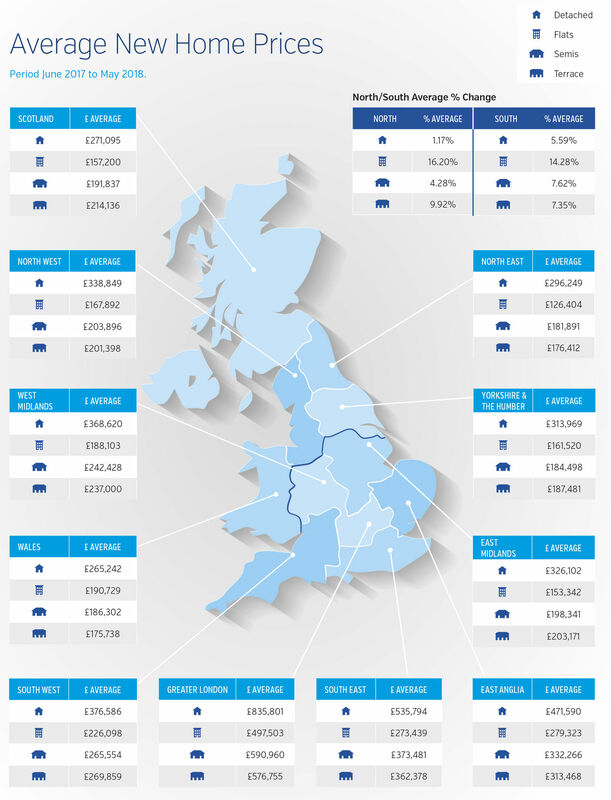 The North East is still experiencing sales at an average price that is 6% below the 2007 to 8 peak. But the three indices are all showing relatively strong price growth in this region which is now averaging 4% year on year growth. At the other end of the spectrum London has experienced strong and sustained house price growth since the last peak, having risen by 62% over the period to the present day. 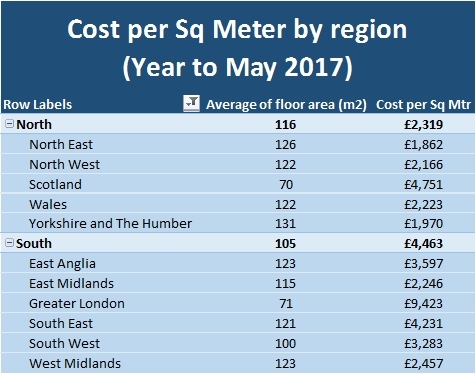 However, whilst year on year prices were increasing by 15% two years since they have declined rapidly in recent times and the average year on year figure is now near -1%. 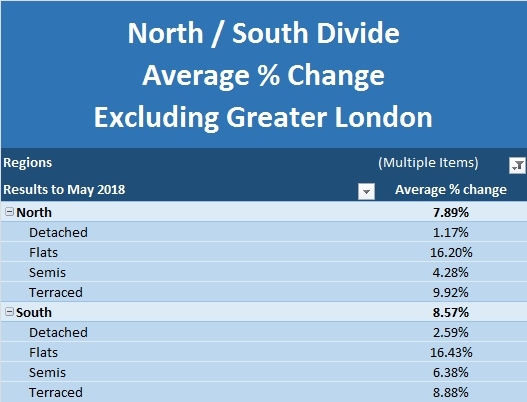 In between these extremes it is clear that the property market is showing its traditional North / South divide and that the Northern regions are seeing stronger and rising growth whilst the Southern regions are now cooling down.